Here at Culver City Honda, we understand the hassle of car buying. But we’re 100% confident that you’ll have a positive experience here at our dealership. That’s because we are different than any other dealership, without even trying to be. We call it, intuitively different. Come experience it for yourself, we’re sure you’ll love working with us. Here at Culver City Honda, we want you to be feel welcome from the second you pull into our parking lot. Our friendly environment makes the hassle and stress of car-buying disappear. This car buying experience will be different, because you’ll be buying from someone who has become your friend. Our team is full of Culver City residents who know the area, and who know you! You won’t be buying from a stranger who doesn’t care about your needs and wants, you’re buying from someone who understands Culver City and what it means for your driving experience! 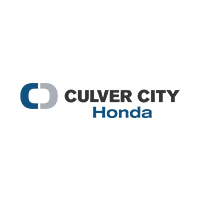 Culver City Honda is different from other car dealers. We want you to understand what’s going on the entire time. We will explain, and walk you through, each step so you can see that you’re not being taken advantage of, fooled, or pulled around.